Any diver can spot a whale shark or a giant manta ray passing by, but the reward of spotting miniature creatures can be just as satisfying. Come closer and take a look at the big love we have for these tiny critters. 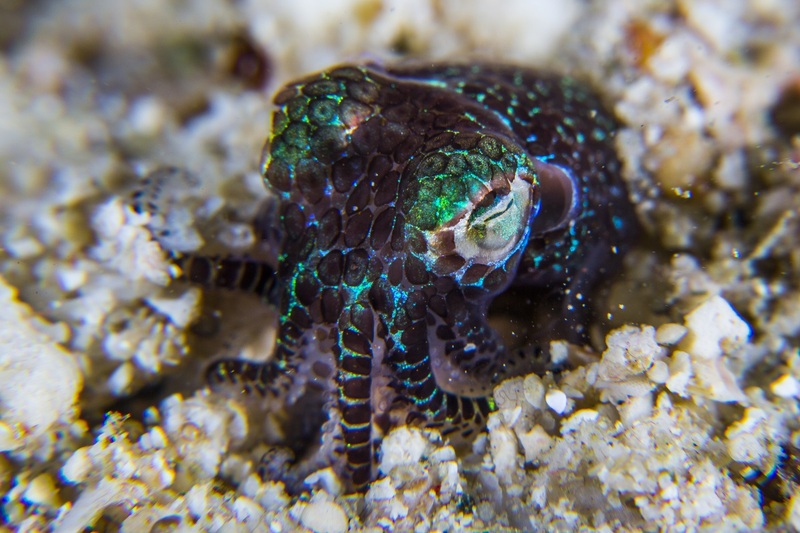 Bobtail Squid are so good at camouflage that military scientists study them in hopes of replicating their stealth qualities. The bobtail squid buries itself during the day and hunts for food at night. 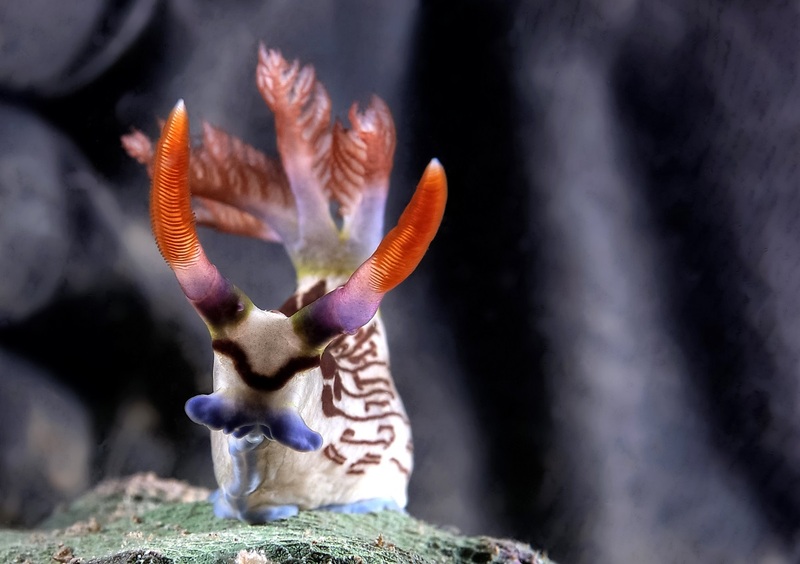 This tiny critter has a symbiotic relationship with bioluminescent bacteria and a “light organ” helps it change color to match its surroundings. A mature bobtail squid grows to 30 mm / 1.2 inches. With a face like a horse and a tail that can grab onto things like a monkey, seahorses are really, of course, a fish. But, this fish has no scales and a poor ability to swim. In fact, the dwarf seahorse is the slowest moving fish in the world. Look for seahorses in temperate waters throughout the world. 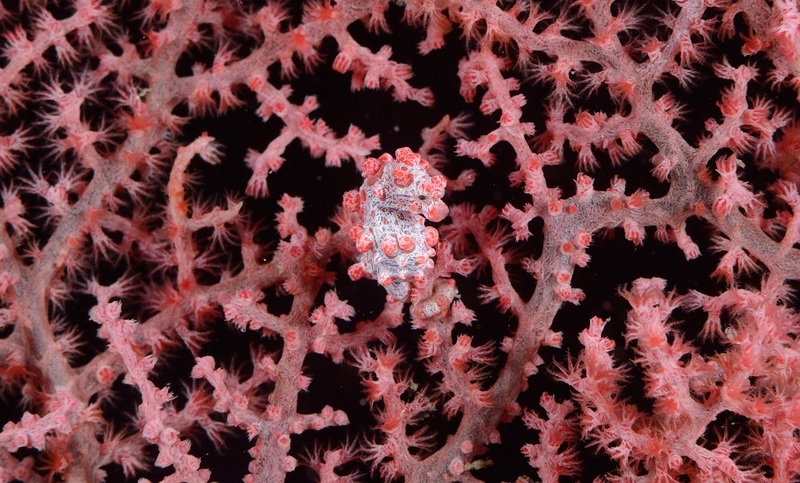 They prefer a habitat that offers protection like a coral reef or seagrass; pictured is a well-camouflaged pygmy seahorse. 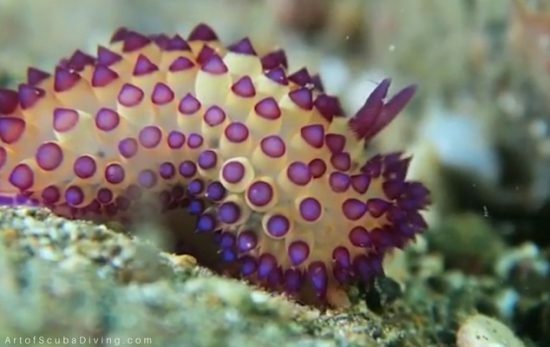 Keep an eye out for the very tiny, intensely colored nudibranch. With 3,000 known species, these shell-less “slugs” have evolved to use their intense colors as a warning to predators, even taking on the colors of the prey they’ve gobbled up. There are many different species of shrimp that are even more interesting than the common pink shrimp. 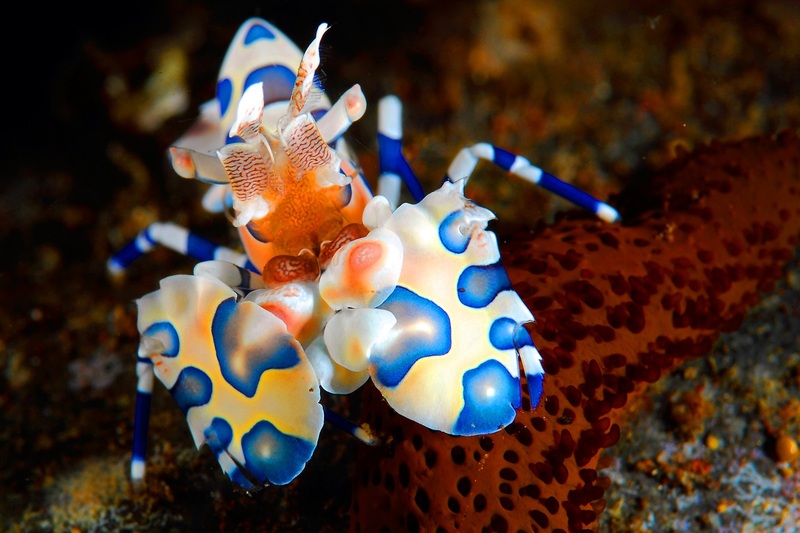 You can find Beige and Blue Harlequin shrimp (pictured) on sea stars, and Coleman shrimp on sea urchins. 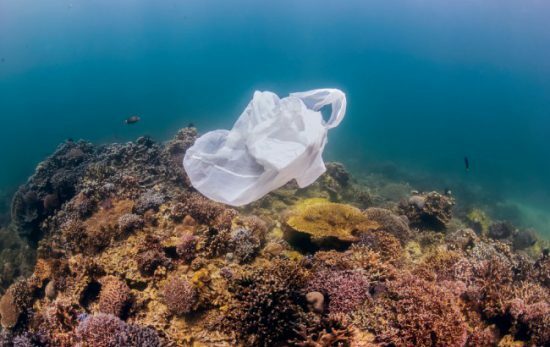 Cleaner shrimp eat the parasites away from other animals and ‘cleaning stations’ make fantastic observation spots for divers. Bumble Bee, Tiger, Crinoid are all beautiful species of shrimp you’d be lucky to spot on your next dive. Young frogfish can be as small as a fingernail. Also known for their camouflage abilities, they often mimic their surroundings or their prey. 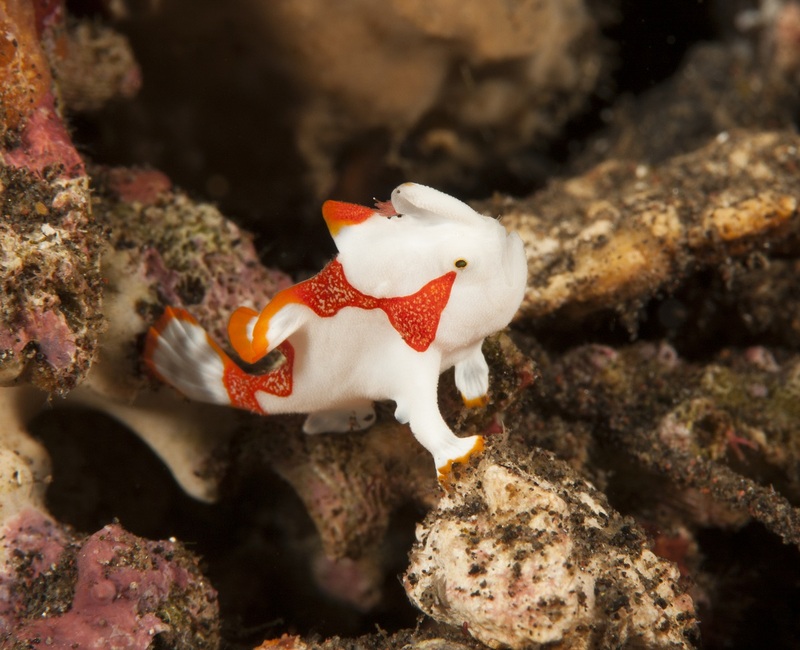 A small frogfish looks like a little toy that oozes cuteness. Sometimes they look like a sponge; sometimes the orange and white warty frogfish (pictured) are confused for clownfish. 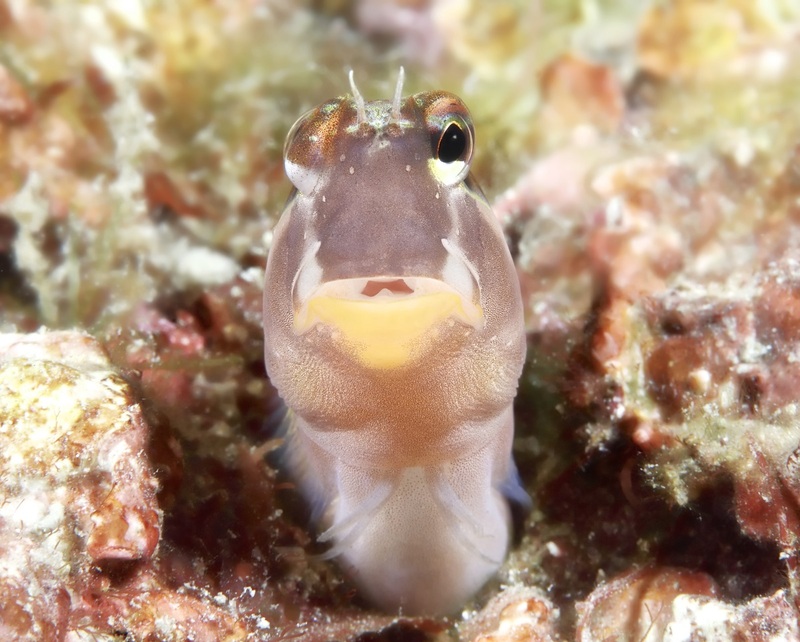 The biggest gobies are typically only 10 cm/4 inches long. Watch for these wee ones hiding in tiny crevices along the seabed. They look like they are standing at attention ready to salute on their teeny fins. 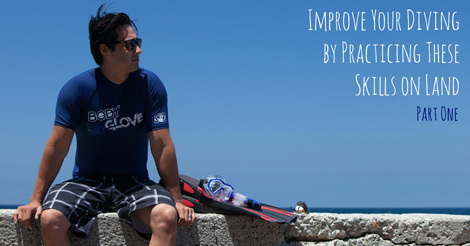 Want to know more about underwater life – big and small? 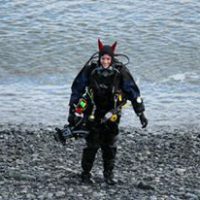 Log onto the ScubaEarth CritterFinder to learn more.